Is The Philippines The Gadget Capital of the World? 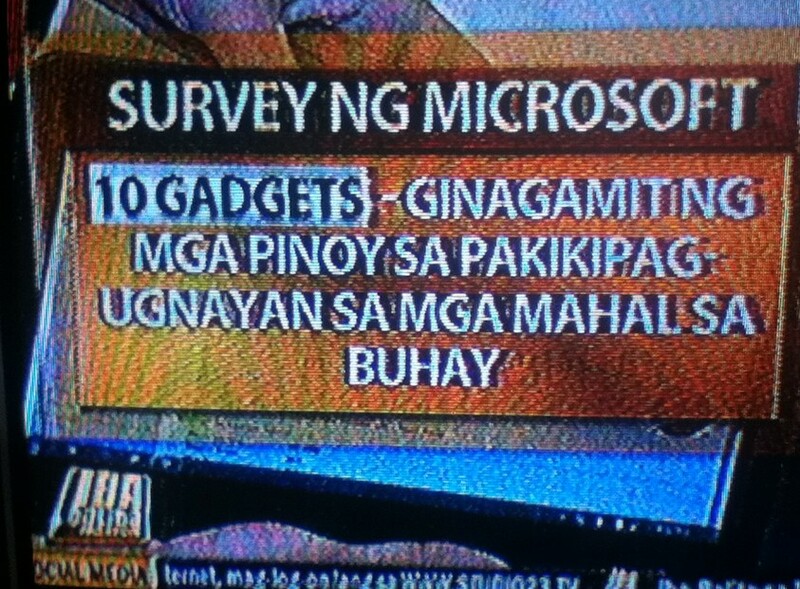 I'm inclined to believe that the results of a new survey conducted by no less than Microsoft Corporation reinforce the fact that the Philippines is indeed the Gadget Capital of the World. So if you also feel the same way, share this post on your Facebook or Twitter account. According to the survey, each Pinoy family has an average of a whopping 10 gadgets - the most in its region, which they use to get in touch with loved ones not only in the Philippines but also around the world! 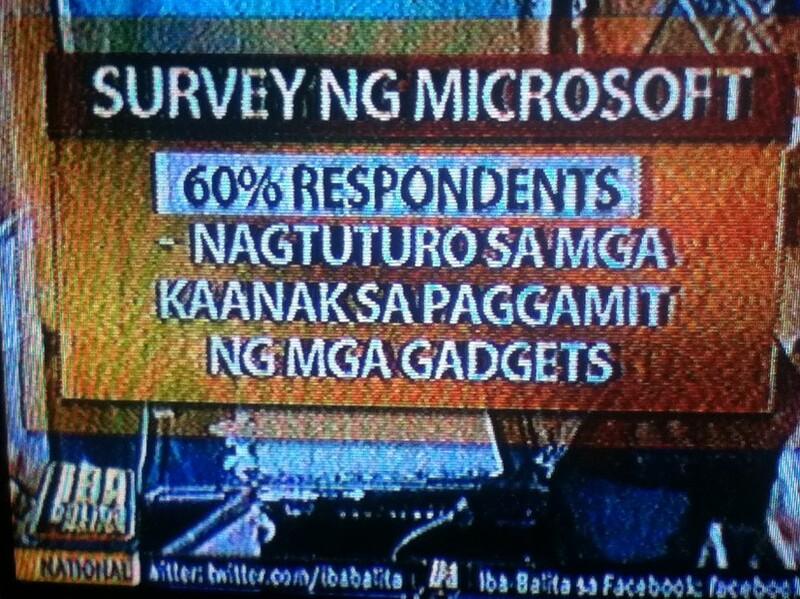 Note that the survey appears to count only gadgets used for communication. In Europe, each household has a total of 16 gadgets but that number already includes gadgets not used to communicate like TVs, gaming consoles and DVD Players. Can the Philippines easily surpass that number? You tell me. Filipinos are so gadget-and-tech-savvy that a staggering 60-69% of all survey respondents claim that they've taught their loved ones how to use gadgets and surf the net just so they could stay in touch with each other using technology. "The findings show that technology has become an intrinsic part of our daily lives. Filipinos are big believers that technology helps us to communicate better and it is obvious from the rate of adoption that everyone from young kids to grandparents is finding technology easier to use," shares Mae Moreno, Windows Client Product Manager of Microsoft Philippines. Considering the results of this survey and the fact that the Philippines is both the undisputed and widely-recognized Texting Capital of the World and Social Networking Capital of this Planet, the conclusion is already obvious: The Philippines could very well be the Gadget Capital of the World as well. So I guess kudos to all multinational tech companies that see the Philippines as a major market and have chosen to open an office here.